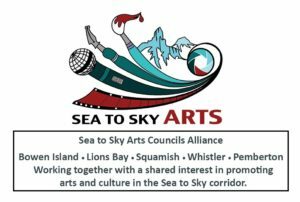 Working together with a shared interest in promoting Arts & Culture in the Sea to Sky corridor, Lions Bay Arts is part of the Sea to Sky Arts Councils Alliance which includes Bowen Island, Squamish, Whistler and Pemberton Arts Councils. This alliance was formed to promote arts and culture along the Sea to Sky Corridor by collaborating to promote artists and events. In 2016, we had a travelling art show “Our Sea to Sky” which began on Bowen Island, moved to Whistler and then to Squamish. 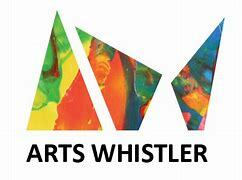 About 50 Sea to Sky Corridor artists entered the juried show which welcomed over 600 visitors in all three locations. We continue to evolve in our ability to share resources, promote events, and create collaborative projects. Click on each respective Arts Council below for current events and more information. Our membership in this alliance is particularly important to Lions Bay as we are a small community now able to access the larger arts and culture environment of the Sea to Sky Corridor. This is also a great benefit to our local artists who have the opportunity for a larger market for their work and greater recognition.